Kerala situated in the southern part of India is a popular tourist attraction and allures travelers with its green orchards and crystal clear backwaters which are a sight for sore eyes. Divulge in the scent of the sweet air that wafts with the wind, relax in the luxury of the boathouses and rest easy your body and mind with the Ayurvedic massage in Kerala making your trip a memorable one. One of the best things about visiting a new place is that you get to eat the local cuisine of that region. 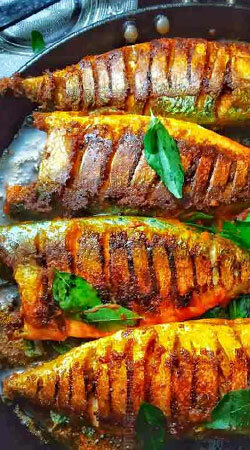 Kerala popularly famous for its sea food and banana dishes has a lot to offer its visitors. The variety of cuisines includes Puttu, Appam with Stew, the Malabar Parotta, Kerala Prawn curry, the Sadhya during Onam festival and the combination of Idyappam with egg curry. One should try out Kerala’s famous beef curry with the Malabar Parotta which will guarantee you visit once again.